• Start a lucrative new business in a recession proof market? • Choose from a range of franchise options? • Join an Industry Leading brand? • Enjoy the backup of an established business with permanent support? The UK’s property market is booming with an intense focus by the Government leading to increased legislation and standards to keep Estate and Letting Agents and Landlords Legal as well as keeping Tenants and their Visitors safe. As a result VeriSmart Franchised Franchisees continue to experience unprecedented growth. 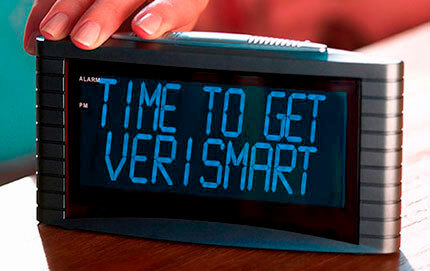 VeriSmart has been a market leader for over 20 years, supplying Letting Agents and Private Landlords with inventories and related inspections and together with Estate Agents, Housing Associations and Holiday Home suppliers, have introduced a range of required compliance solutions. Because of this the VeriSmart Nationwide expansion has created a limited number of business opportunities in areas just like yours. VeriSmart can give you everything you need to start a new and lucrative business of your own. Your up-front investment is reinvested into your business success and typically results in an income of between £50K and £100K per annum and more. •A range of business opportunities available with an Industry Leading brand. •Innovative and trademarked cutting edge technology. •Established business with a significant track record. •Proven, scalable and flexible opportunity. To receive a no obligation PDF download outlining our franchise opportunities in more detail, please submit the form above.